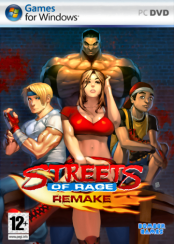 Streets Of Rage Remake 5 is a free fighting game developed by the team of Bombergames Games, which aims to offer a complete remake of the three chapters of Streets Of Rage, the famous game made by Sega in 1991. 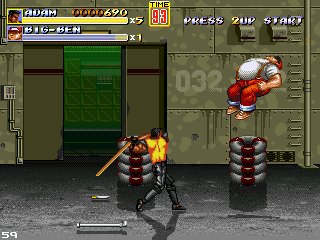 All details of the original game produced by SEGA was recreated composing of not less than 10 developers. New graphics, new enemies with different scenarios, a completely revised sound, band and recorded OGG, 76 songs with some of which are inspired by output versions of original games for the Game Gear, numerous cinematic story mode, new powers and even modes to unlock 8 different endings. In this download you get the complete version to play the game on any system, including Windows PC, XBox, GP2X Caanoo and Linux, additionally along with patch v5.0a and patch v5.1.